I know I’m a little late on this one…you’re probably all ready for Easter Sunday. Never, EVER hang a bunny like this at your house. You’ll scare the kids (and some adults). Yes, I hung it up last year. Someone had given it to me and year after year it just stayed in my Easter box. So last year I decided to use it. “It’ll be cute and fun for the kids,” I thought. The Devil Bunny is now in the trash. Don’t you just love finding this stuff all over your house at Christmas? I know I do. It brings back such fond memories of our Easter celebrations. What a pain! I despise Easter grass. It gets everywhere and I don’t want my baby eating it, or choking on it, for that matter. Nope. No thank you. Don’t want that headache. 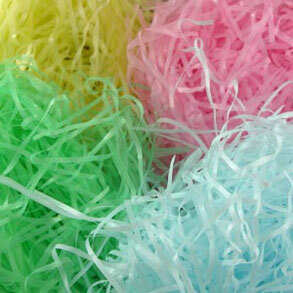 Tissue paper, on the other hand, is an awesome substitute for Easter grass. 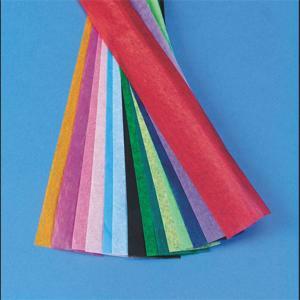 Just grab a sheet or two of any color you choose (pick green if you want to stay true to having grass in your baskets), wad it up and nestle it in your baskets. Easy, easy, easy, easy, easy. Did I mention that it was easy? And you can even reuse it year after year, just like the horrible Easter grass (that you’re now going to get rid of, right?). No more vacuums getting clogged or finding it stuck between your toes. Do you see what’s not in this picture? You guessed it — annoying Easter grass. 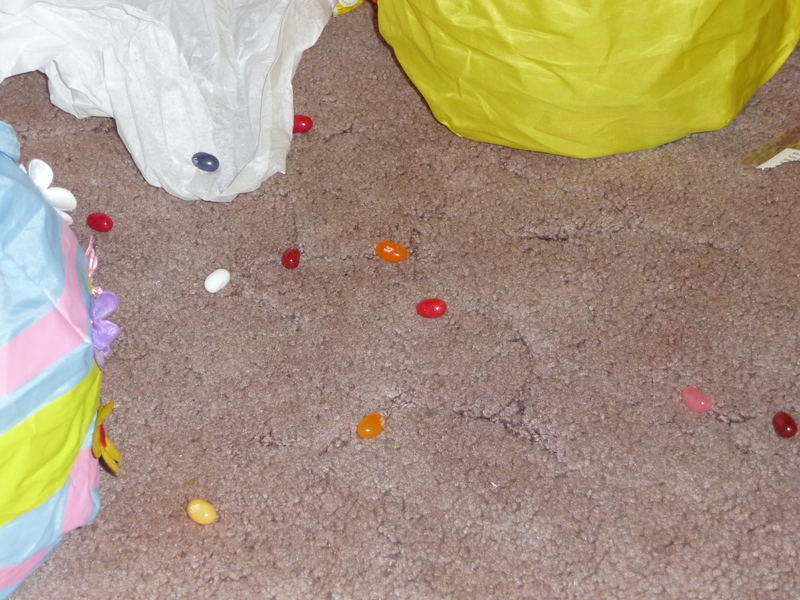 But notice the nicely wadded white tissue paper at the top that was taken out of an Easter basket? I can sleep peacefully at night now. 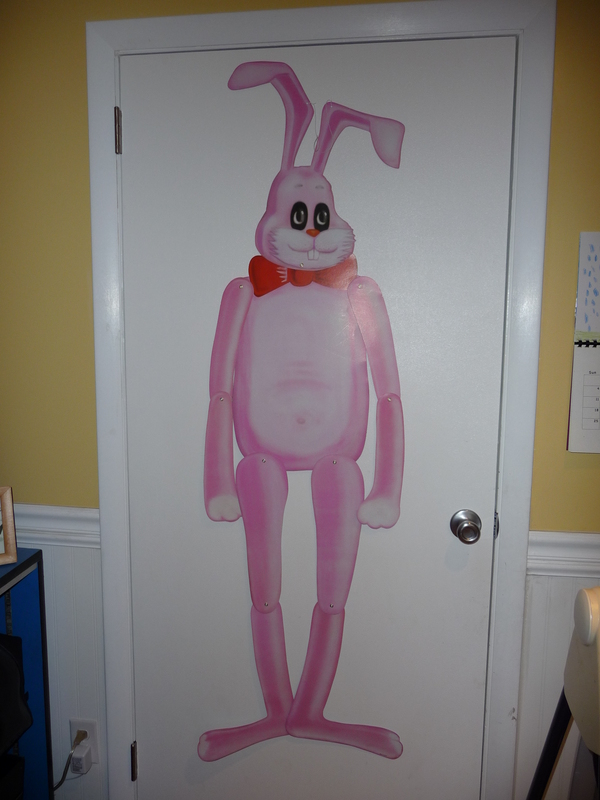 This entry was posted in Holidays, Organizing and tagged easter, tissue paper. Bookmark the permalink.